Many people think that the OCCUPY movement dried up and disappeared like dust, but OCCUPIERS have just moved into other areas of action and change. 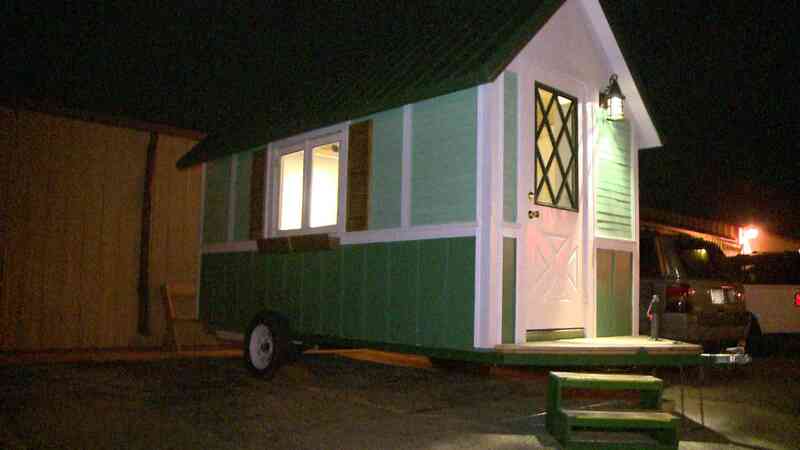 OCCUPY MADISON is building small homes for those in need of one. Take a look at the following local news report from NBC affiliate WMTV (Madison, Wisconsin. My cancer came back. It’s still treatable. I’m meeting with a new oncologist on Thursday to discuss options. And if that isn’t enough, I’m writing this from the Desert Regional Medical Center in Palm Springs where I’ve been hospitalized with Pneumonia (just the regular community acquired kind, nothing fancy or antibiotic resistant). Treatable and now being treated intravenuously with Levaquin, a strong antibiotic. I’m still just so glad to be alive and thinking and dreaming and writing. I take the greatest pleasures in the simplest of things. It was a blessing to be able to drive myself to seek the appropriate care for my body. And as I continue my stay here at the hospital It will be a blessing for me to interact with everyone along the way – by expressing thanks and appreciation., engaging with questions and encouragement. Smiling. Laughing. Giving a friendly nod. It is a blessing to be reminded not only of the fragility of life, but also of the sacredness and beauty of it. And to be reminded of how precious it still is to me. Though I sometimes face limits and challenges I could never have imagined, I still am grateful every morning for another day of life. And in that sense, yes, ‘anything’ and ‘everything’ is a blessing. Even the chance meeting of my truck and the van which told me so. You can arrange an overnight stay in our guestroom any day(s) of the week. Call for details. OFFICE HOURS: M-F 10 a.m. to 9 p.m. - Sat. 10 a.m. - 6 p.m. (Closed Sundays).